OOAK Handmade accessoires for Neo Blythe dolls as well as custom dolls, art & illustrations. My name is Barbera Ploeg, the face behind Casa Ochenta. I am a Creator, Goldsmith, Painter, Designer and Photographer. My journey started in May 2007 starting my first jewelry business and grew my services over the years photographing, painting, drawing, illustrating and writing. I re-found my love for dolls a few years ago and they enrich my everyday life. Creating for and with dolls enlighten my spirit. Here you will find OOAK and Limited Edition Exclusive Luxury Handmade Jewelry for your special Blythe girls. Real- and semi-precious gemstones, pearls, gold, silver and natural silk. Every piece is handmade with lots and lots of love. 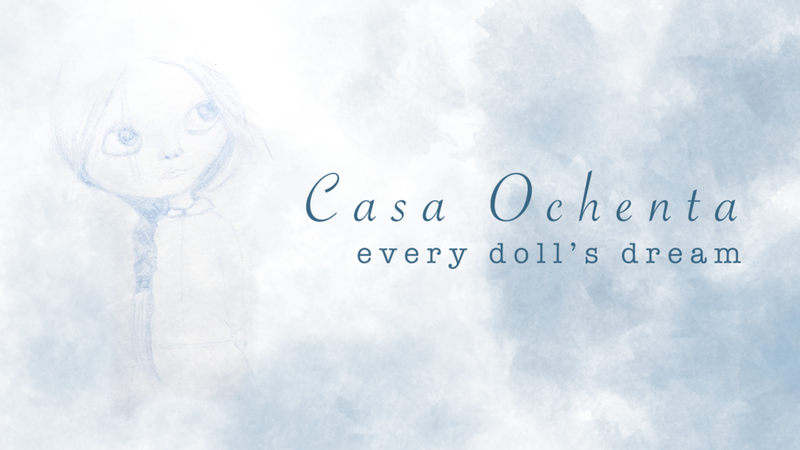 Every now and then you will also find a Custom Handmade Doll and Blythe themed Art & Illustration. Created in Europe, The Netherlands.